My last blog post, Demographic Landscapes, described leveraging new SFCGAL PostGIS 3D functions to display 3D extruded polygons with X3Dom. 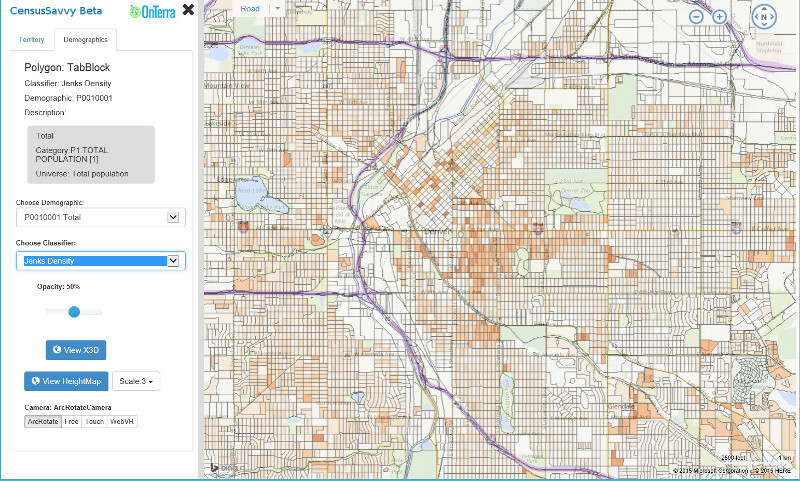 However, there are other ways to display census demographics with WebGL. WebGL meshes are a good way to handle terrain DEM. 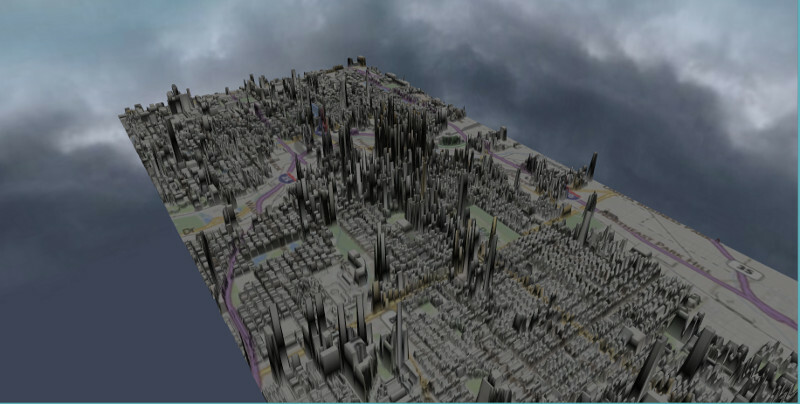 In essence the US Census is providing demographic value terrains, so 3D terrain meshes are an intriguing approach to visualization. 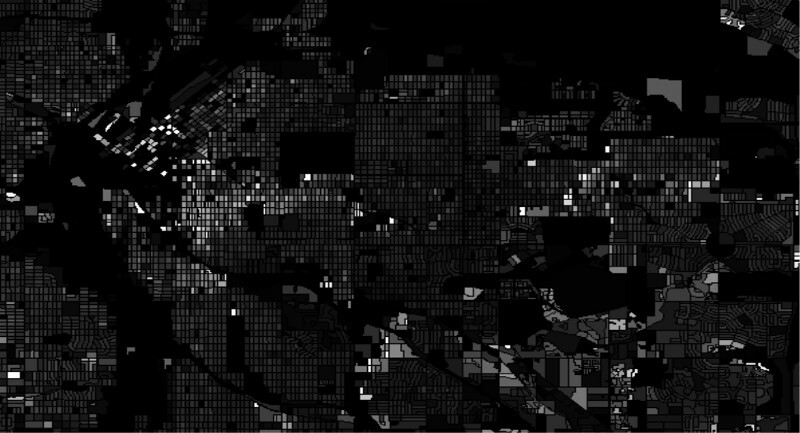 Modifying the Census WMS service to produce grayscale images at the highest SF1 polygon resolution i.e. tabblock, is the easiest approach to generating these meshes. I added an additional custom request to my WMS service, “request=GetHeightMap,” which returns a PixelFormat.Format32bppPArgb bitmap with demographic values coded as grayscale. This is equivalent to a 255 range classifier for population values. 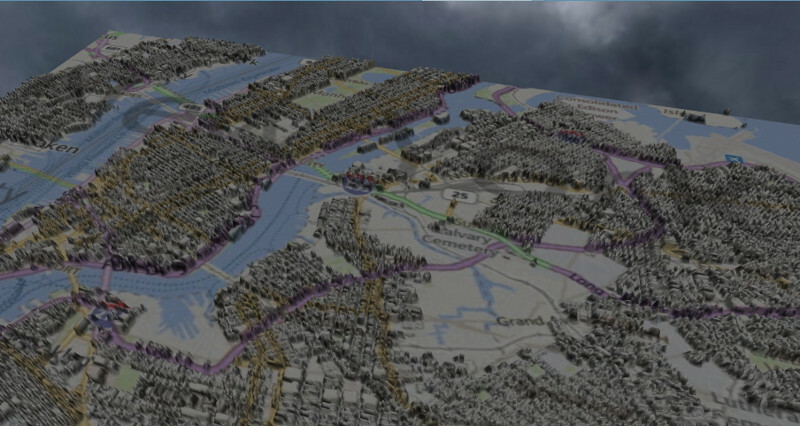 Once a grayscale image is available it can be added to the Babylon scene, as a heightmap. WMS GetMap requests are also useful for adding a variety of textures to the generated demographic terrain. Modifying the experimental Census UI involves adding a link button, scale dropdown, and a camera selector to the Demographics tab. Babylon.js offers a range of cameras, including cameras for use with VR headsets. 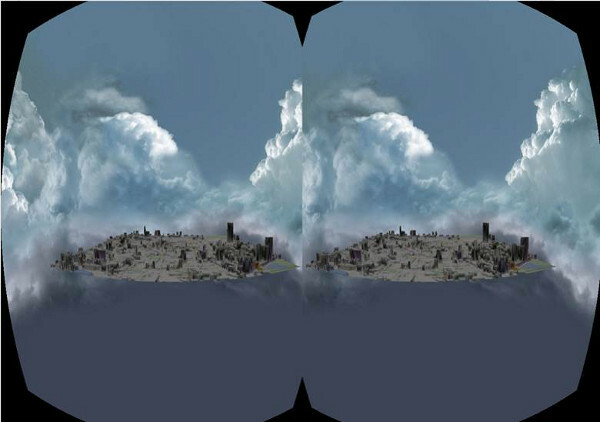 WebVRFreeCamera is suited for use in Google Cardboard headsets. 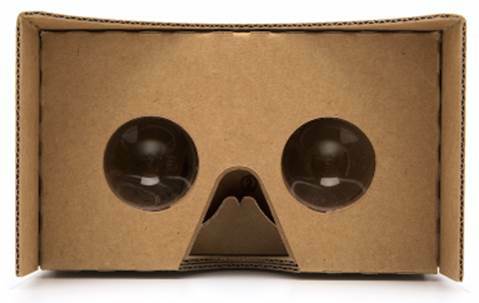 I have a $4 Google Cardboard headset on order. 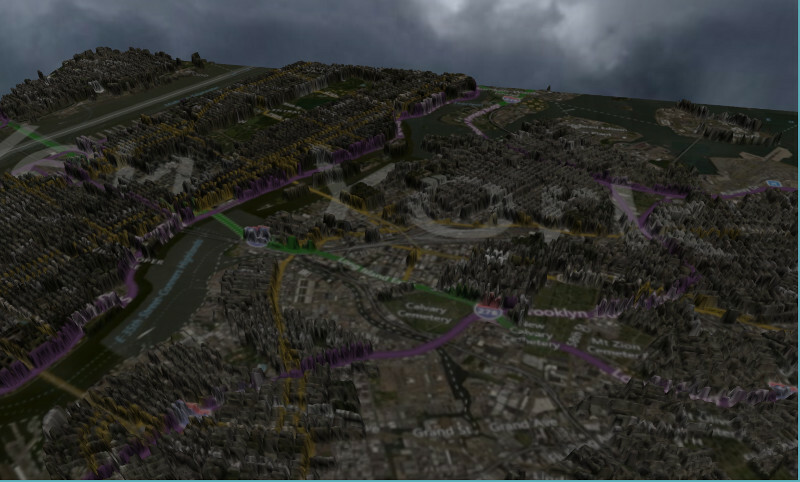 Soon I can try it using a Babylon.js WebVRFreeCamera to navigate population terrains. Microsoft HoloLens will up the coolness but not the hipster factor while improving usability immensely ( when released ). I’m inclined to the minimalist movement myself, but I’d be willing to write a Windows 10 app with the HoloLens SDK to see how well it performs. This can require some patience looking at the heavenly but empty skybox for a few seconds, 5-10s on my laptop. Compare performance with batch processed SF1 tiles. Tiles could combine a 3D vector mesh with a 2D value array to reduce size of multiple demographic tile pyramids. Explore Babylon.js LOD mesh simplification. 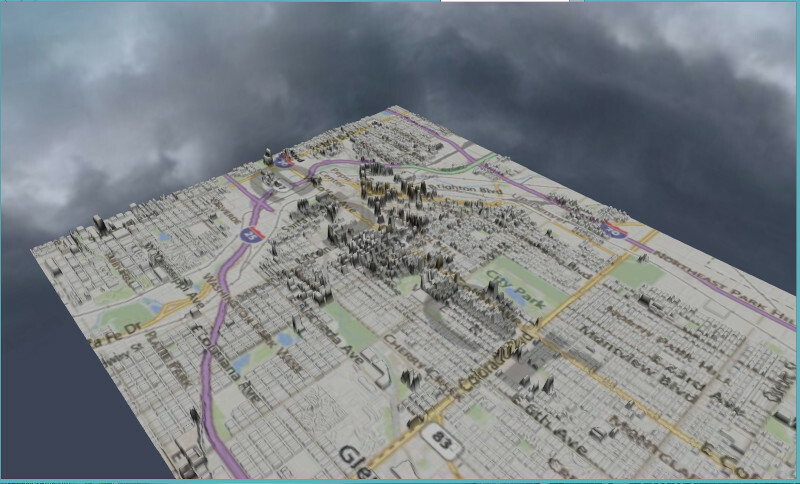 Explore Babylon.js octree submeshes with multiple mesh tiles. Use PostGIS MapAlgebra on multi-variate value arrays. Increasing the scale exaggerates relative population. My how Denver has grown!